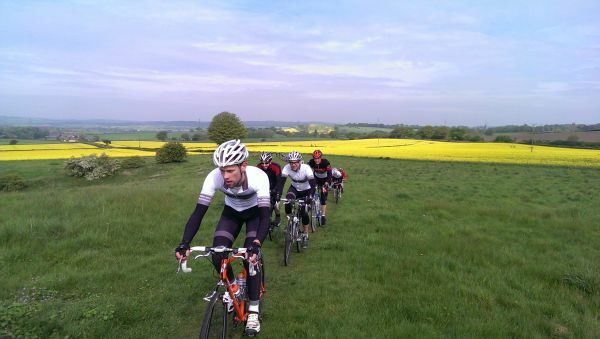 Just as the classics season came to a close, Wolverhampton was treated to the first ever running of a new event modelled on those spring races: the Tour of The Black Country. Having recently ridden the Tour of Flanders sportive, and the similarly themed Telford Toothpaste, I was keen to give it a go as I have somewhat developed a taste for these hybrid road / cobbled / off road rides. Besides which, they are the perfect excuse to make use of my long term test bike, the Boardman Comp CX, which is an ideal tool for the job. 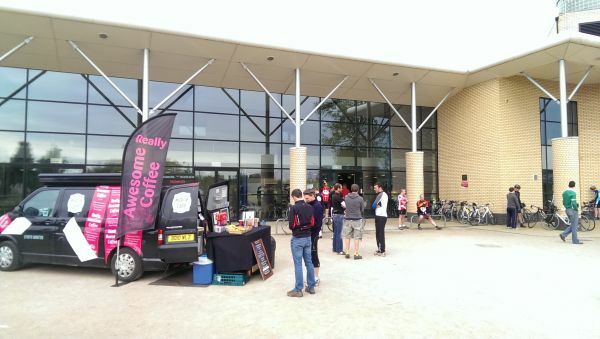 Organised by Bromsgrove based, V-Sprint club it was an ambitious first event, utilising Wolverhampton's Aldersley stadium - replete with an outdoor velodrome to complete the Paris-Roubaix theme. The stadium is perfect as an HQ for events, as I've sampled before on a sportive. Modern, with all the facilities you would expect, and plenty of free parking too. Sign on was indoors, but we were blessed with good weather regardless. With a frame sticker number issued and a set start time dependant on the number, all we had to do was arrive at the start on time. Easy enough, and with around 270 or so riders it worked well. Local cycling legend and long-time commentator, Hugh Porter was our official starter for the day - a nice touch, and apt as the road into the stadium is named after the man himself. As you would expect, the first few miles were fairly urban as we made our way out of town, but it wasn't long before more pleasant lanes were covered. 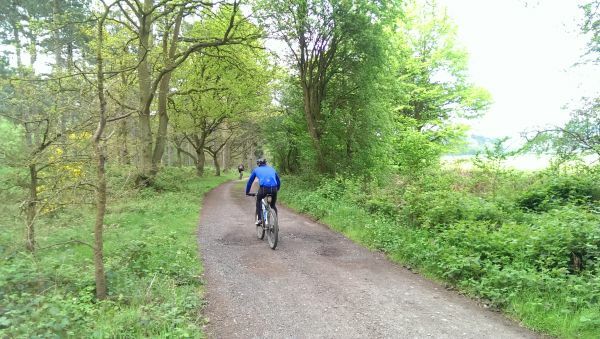 Rather than the cobbles of our European inspirations, the majority of the pave sectors were gravel or dirt lanes and bridleways, with one notable exception a little later in the ride. Although all were deemed suitable for road bikes - and they were - tougher tyres were recommended, and there were a fair number of riders fixing punctures. Here my bike choice came to the fore. Although somewhat heavier than my carbon road bike, the alloy framed, 32mm cross tyred machine sailed over the off road sections with ease, and with not a puncture in sight. With a standard compact chainset it was no slouch on the road either. The route itself headed south from the city, with a total of 15 unpaved sectors, varying in length from 600m to almost 2km. 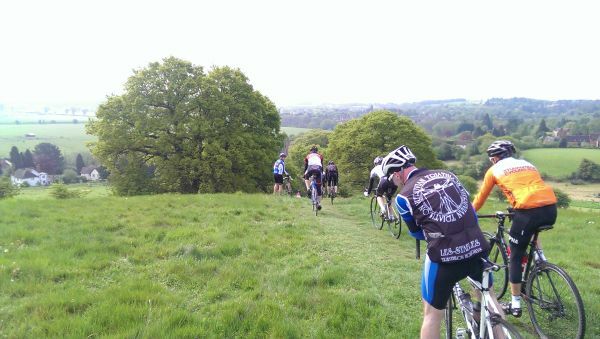 The feature of the day was the climb up to the top of Walton Hill, a two mile road climb through the woodland, culminating in the 600m off road cobbled climb renamed for the day as the 'Waltonberg'. Likened to the infamous Koppenberg in Flanders, it's steep at 20% or so at its worst, and a mix of cobbles, brick paving and gravel, making for a challenging surface. One for next year then Sean? Brilliant fun - I took a tumble on the Waltonberg but I'll be back next year to put it right! Review of the Black Country tour describing the preparations of participants from people will also get lots of enjoyment. Students get best works from http://www.bestdisssertation.com/ here on reasonable charges. Great thing to be here on this website and i was getting bored and then i found many things from this website.